I am excited to share information about a free robotics program I discovered at the recent Massachusetts STEM Summit. 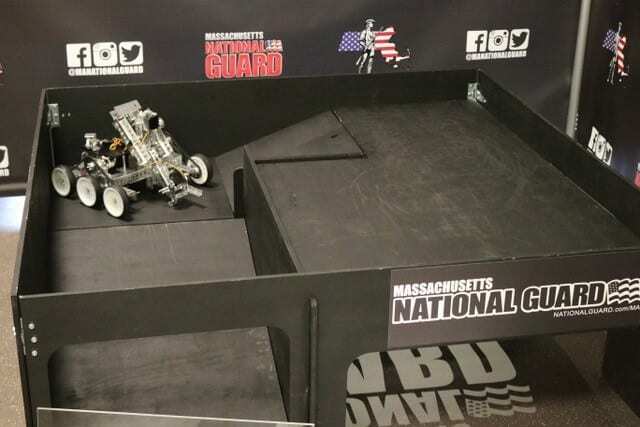 The Massachusetts Army National Guard recently created a STEM Robotics Seminar for high school students. This is an opportunity for students to get exposure to and learn about robotics during a special school-day seminar. The Urban Search & Rescue Robotics Program is in its second year, and according to Ken Dowd, Sergeant First Class, Massachusetts Army National Guard, it’s been well received—the program is often booked four to five times a week. The program has been honored with special placement at the last two HUBweek festivals in Boston and at the Massachusetts STEM Summit. The National Guard also hosted a robotics competition during the state’s first STEM Week in November. To date, they have visited just over sixty high schools and colleges across the state. 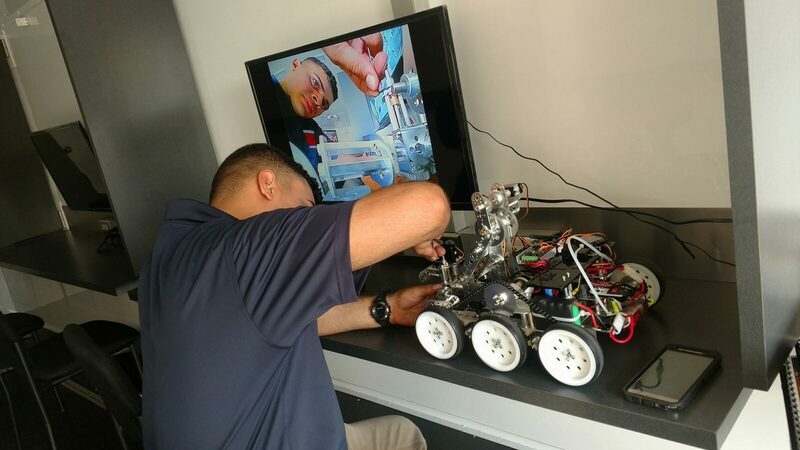 The National Guard will come to your school with a 35’ mobile robotics laboratory, bringing a fully researched and tested STEM robotics curriculum anywhere in the Commonwealth at no cost to educators. Their team comes prepared to instruct the entire event. 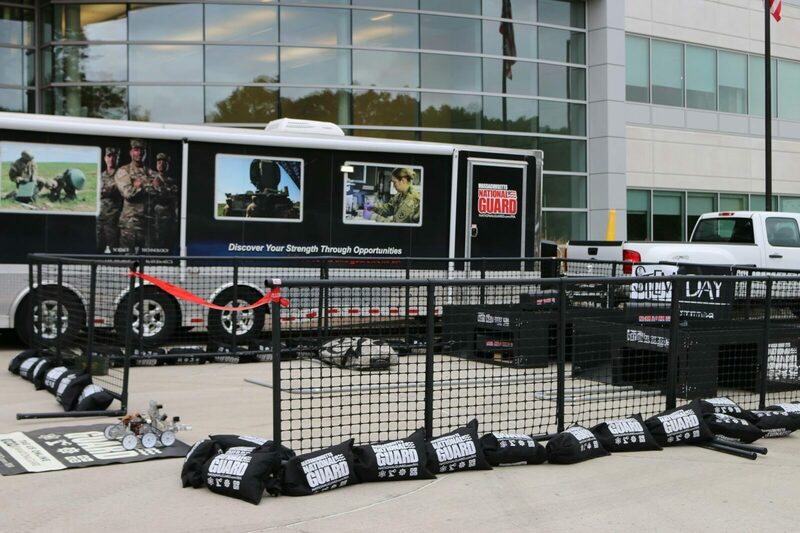 The Massachusetts Army National Guard worked closely with PITSCO Education and other corporate partners to create a state-of-the-art robotics program. 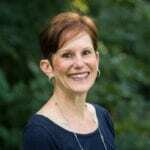 The program is completely scalable and the National Guard can do anything from a quick demonstration to a full week with CAD design, construction, coding, and competition. Most of their visits are a full day, for three dozen or so students. 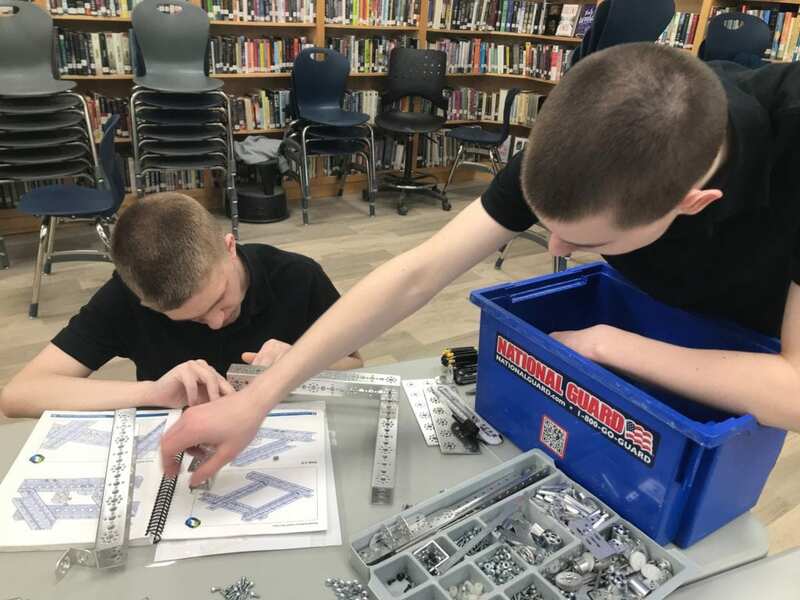 The program curriculum was designed for high school sophomores through college freshman, though they have been able to scale down for some junior high level robotics classes. Students don’t need to have any prior experience or knowledge. Students are provided with Tetrix robotics kits, instruction, and the freedom to get a little competitive. Once they have completed their creations the National Guard will host a tournament on one of their Urban Search & Rescue (USAR) obstacle courses. They have the ability for sixteen simultaneous teams to construct their robots and then for four at a time to navigate four separate obstacle courses by video feed from inside their mobile command centers. All participants receive a certificate of completion from the Homeland Security Institute and National Guard Bureau. If you are interested in this program and want to learn more, download the STEM Robotics Seminar Educator Guide. This detailed document includes an overview of the program plus information about the robotics kits, mobile laboratory, curriculum, and lesson plans used on the day of your event. Educators and parents can feel free to contact Ken Dowd (339-202-9007, [email protected]) or Geoffrey Allen (339-202-9008, [email protected]) with any questions or to book the program for your school. The program is an asset provided for, by, and to the state, so it is provided free of cost to all involved.